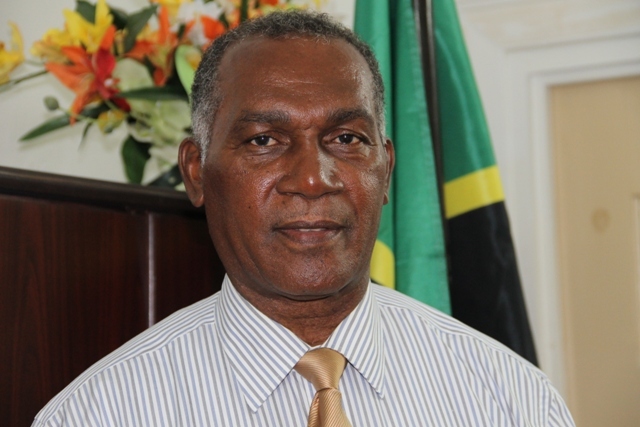 NIA CHARLESTOWN NEVIS (APRIL 09, 2015) — The Nevis Island Administration (NIA) and the Federal Government have taken a strong stance on the issue of crime on Nevis and St. Kitts and, according to Premier of Nevis and Federal Minister of Nevis Affairs Hon. Vance Amory,outside assistance would be sort to help solve crimes. He made the comment when he spoke to the Department of Information on April 07, 2015, in the wake of two incidents on Pinney’s Beach and another at Fountain village during the Easter holiday, in which shop owner Hueluo Pableto “Pabby” Hanley lost his life. “I want to extend my condolences to the family and my commiserations to those who are injured. However, I want to say very categorically that the Nevis Island Administration and the Federal Government will take very strong steps to investigate these crimes and the crimes which have stayed on the books undetected. “I think the Prime Minister, based on our discussions, has indicated a zero tolerance to crime and I am sure, having spoken to the High Commissioner of the United Kingdom and to the Ambassador to the United States, that he will make serious requests for assistance to deal with the issue of crime in St. Kitts and Nevis…I think our purpose certainly is to do all in our power to deal with crime and to stamp it out, eradicate it and certainly continue to have a zero tolerance to crime in Nevis and also in St. Kitts,” he said. Mr. Amory reminded that any incident of crime could tarnish the image of Nevis and St. Kitts and also had the potential to reduce the perception of people who want to visit or invest. He said it was critical to the development and economic growth of St. Kitts and Nevis that they be secure and safe and that those who invest know that their investment is safe and they could come and enjoy the beautiful islands, their history, culture, food and have a peaceful holiday or reside on the islands which are unique and environmentally-friendly for visitors.